Located near the corner of W Bowles Ave and S Platte Canyon Rd in Littleton, The Hamlet at Columbine subdivision in made up of 113 homes built between the early 80's through the early 90's. Most home styles are 2-story with a few ranch that include floor plans with basements of 3,000 to 5,500 finished square feet. The homes sit on a quarter to almost a half acre with fenced yards, patios, and attached 3 car garages. Many families are drawn to purchase a home in the Littleton Colorado Real Estate market for its top rated schools, such as children in the Hamlet at Columbine subdivision who will attend Wilder Elementary. There is close access to old Littleton shops, restaurants, parks, golf, tennis, South Platte River trails, and Chatfield Reservoir. See what your home is worth With an Instant Home Valuation Online. Want advice on selling your house? We provide a free staging consultation, pre-listing prep plan, and a The Hamlet at Columbine real estate market analysis. Call us at 303-325-5690 to learn more. New to the Area? 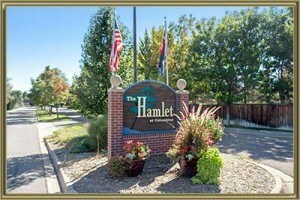 Call our The Hamlet at Columbine real estate agent at 303-325-5690 to schedule your tour of Homes in Littleton CO.